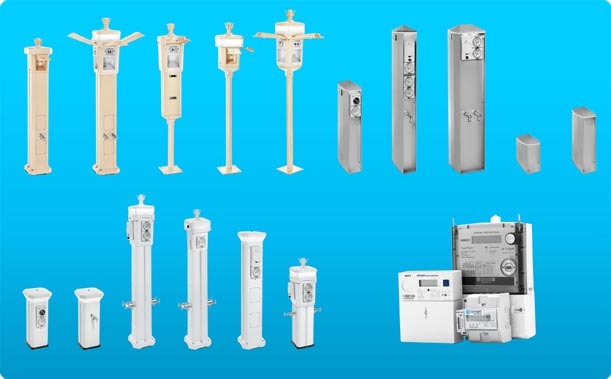 Comsen Powerheads gives you the power to connect with over 40 years experience manufacturing service pillars in the Australian market. Our custom made powerbeads and pillars provide power, light, water, television, phone and internet access solutions for all parks and marinas. Comsen products have been proven in the field under the harshest conditions providing peace of mind for our new and regular Caravan Park and Marina clients. Our systemised production process right here in Australia allows us to provide value for your investment. We carry stock to supply you fast and reduce turnaround times for all products and parts. Parts for even our oldest models are readily available. There is no risk to investing in Comsen service pillars as we guarantee performance in the field to your satisfaction within 60 days or we give you your money back. Additionally we provide 20 year guarantee on all body parts and 5 year guarantee on all electrical components . The location of your Caravan Park or Marina is no issue as we supply service pillars and parts to everywhere in Australia and internationally at competitive rates. Our commitment to safety is paramount and we provide upgrades to meet changing electrical standards for compliancy in each state and territory. We keep ahead of market trends with investments in product research and development. The modern styling of our new product ranges sets the industry benchmark to ensure we deliver the best product for discerning clients and projects. Our caravan and marine ranges are made from non-corrosive, impact resistant, UV resistant polycarbonate to provide durability and long service. Our new EXTREME series is made from fully anodised 25 micron aluminium for extreme durability. Our people and our approach set us apart as we work collaboratively with our clients to ensure that they get professional and economical solutions. The owners Lorraine and Scott McQuie and their team are qualified electricians, builders, engineers and manufacturers which help them to understand each client’s unique needs. We recommend that you always ask for a Comsen quote. Simply ring us up, or fill out the quote form, or order online. You can save you money and more importantly provide peace of mind that you have made the right decisions for now and well into the future.